NEW! 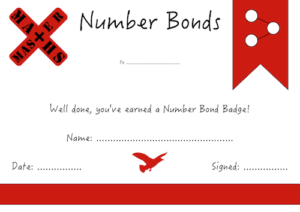 Children can now earn a Number Bond ‘Badge’! At the start of Year 3, we wish to build upon the strong foundations of number bonds and counting learned in Key Stage 1. 10, 20, 30, 40, 50 and then 100.